Tongue tingling sparkling low calorie orange fruit drink with zero added sugar. Made with fruit.Liven up any occasion with this tongue tingling, fruity orange drink with no added sugar. 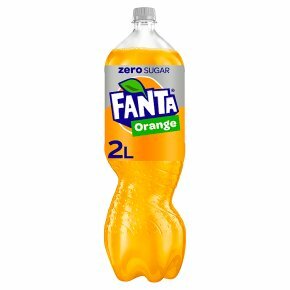 Fanta Zero's cool taste is made with? Real fruit Natural flavours No artificial colours No added sugar Serve ice cold for maximum refreshment. Contains 8 X 250ml servings. Keep cold in the fridge. Please recycle.